Watcha doin’ on the 9 August, huh, huh, huh, huh, huh? 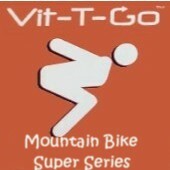 Well, if you’re anything like the rest of the MTB Shorts crew, you’ll be heading off to the Vit-T-Go MTB Super Series at Babba’s Lodge in Bultfontein (I’m going to be honest and say I have no freaking idea how to get there, but our friends at Supersport have been supreme awesomeness by providing directions for every non-GPS owner, so check out directions here). Please take note that closing for all entries is Wednesday 5 August at 18h00. So get your number before it’s too late (a little birdie told me that if you enter online, you’ll also get a free T-Shirt – sweeeeeet!). You know the drill: get the number, arrive there before starting time at 08h30, and race till your little lungs explode to claim a podium place and a mention on the results board. By the way, results of the event will be posted on www.spectrumsport.co.za. I’ve also been so gracious to create a little summary of the information for everyone. You can thank me later by buying me lunch – that’ll be one Greek pasta salad and peach flavoured sparkling water from Woolworths please! A while ago we posted a blog on the Toyota MTN Bike Park Event, and this past weekend, the grand spectacle finally took place. 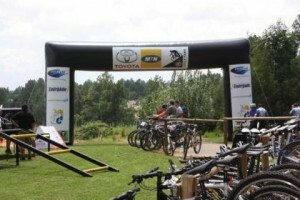 Doubling up as the 5th round of the 2009 Central Gauteng Provincial Series, the Toyota Supercycling event proved to be an unbelievable inaugural showpiece for the new purpose-built facility. DCM Chrome’s Bryce Munro dominated on Sunday when he cruised to a significant overall victory in the Elite and Under-23 Men’s category. A worthy mention must go to current African Elite Men’s cross-country champ, Specialized’s Ben Melt Swanepoel, who finished second and Jan Withaar in third. In the women’s category, IMC Momentum’s Yolande Speedy proved to be in her own league as she wiped the floor with all competitors. Second place went to Claudia von Tutschek and the final podium place was claimed by Carien van Jaarsveld. Overall, it was an awesome event which should bring some new excitement to the concrete jungle, known as Sandton. And seriously, who would’ve thought that Bryanston could actually have a MTB track?! The African Continental Champs will be happening at Mankele, Mpumalanga – just 30km from Nelspruit and pretty near to the Sudwala Caves. The 11th of July will be dedicated to the cross-country event and the 12th will be the downhill competition. Every junior rider, U23 and Elite will have to purchase a SA kit – otherwise they won’t be allowed to compete. So if you don’t have a kit yet, go out and buy it! Guys and girls, the African Continental Champs is going to be an exceptional ride, where you’ll cross bridges, rivers, bush tunnels and monstrous climbs over 7.4km. It really is a fantastic way to get in touch with the beauty of the country and give yourself a sensational workout. 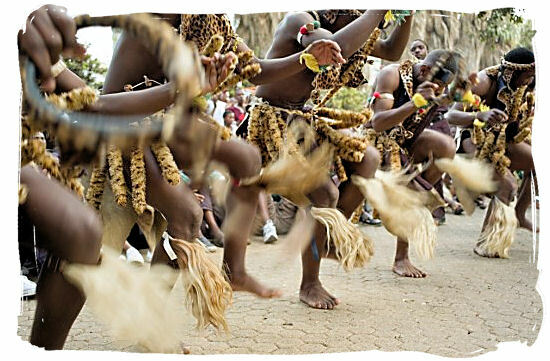 Diarise 11-12 July, because over that weekend, Mpumalanga is going to be dancing to the beat of MTB! Recently, US rider Katie Compton was hospitalised for an asthma attack after racing at the Alabama’s Bump ‘n Grind Cross-Country race. Compton, who only uses her inhaler during training and not competitions, was forced to abandon the race on the third lap after experiencing breathing problems. This piece of news caught my attention because I have also suffered from asthma since birth. It has varied in degrees throughout my life, but I still take my Flexotide inhaler daily. 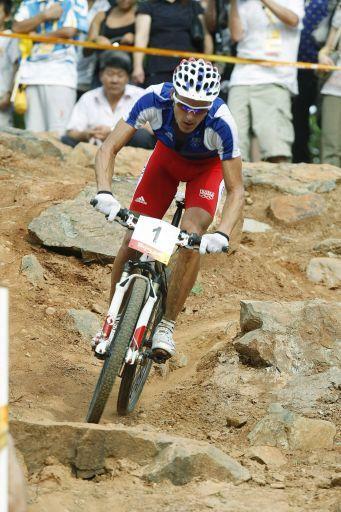 Before I started mountain biking regularly, I consulted my doctor, who did a few tests on me to check if I was physically able to compete. Once cleared, I got on the bike and began riding slowly to make sure I didn’t collapse on the side from a lack of oxygen. 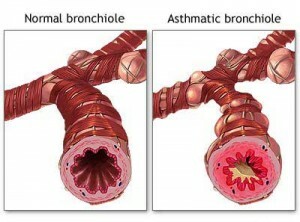 I urge every single person who has asthma to go to their local physician before they start cycling. You don’t want to feel that tightness in the chest and shortness of breath on the track! Also remember, that with MTB comes a lot of dirt and pollen, and many asthmatics suffer from severe allergies, and such things may evoke respiratory problems. Do you suffer from asthma and still cycle? Tell us your story. On Sunday 28 June, the posh suburb of Bryanston is going to get dirty with a full day of non-stop mountain bike racing at the Toyota MTN Bike Park. The men’s Elite and Under-23 categories will do 8 laps, which should take approximately two hours to complete, while the women’s Elite and Under-23 categories will do 6 laps. On racing day, the Toyota MTN Bike Park will be closed to other riders until the end of racing at approximately 15h30 – so you better make sure you enter the race if you want to ride. Hey peeps, firstly, who watched Idols last night? Man, oh man, I’m so disappointed Jason didn’t win. My cellphone bill is going to be through the roof this month after I voted for him twenty times and he still didn’t win! Anyhow, congrats to Sasha-Lee. Julien Absalon from team Orbea took home his 18th World Cup victory in the elite men’s cross country event in Offenburg, Germany. Absalon’s third consecutive victory at Offenburg helped move him into the overall lead for the men’s competition and he has now broken Thomas Frischknecht’s record of 17 total World Cup wins. South Africa’s own golden boy, Burry Stander, managed to finish in fourth place – clap, clap! Represent homeboy! Our local boys are really rocking the MTB scene. Every week, I’m seeing a South African in the top ten of an event. It’s really impressive! You better find a babysitter for the weekend, because the MTN National XCM #2 is coming to Chandelier, Oudthoorn, Southern Cape this Sunday, 26th April. This event is considered one of the most prestigious and rigorous races in South Africa that draws top cyclists from around the world to come and compete on the world-class tester. I’m pretty sure the beautiful scenic ride through the Little Karoo region is also a major deciding factor when choosing this event. Hubby also said that it is a fantastic terrain for Jeep riding, but I told him that he is NOT driving a big car again after he overturned our friend Dale’s Landcruiser two years ago. Dale had to lie to his insurance company that he was driving and had a slight accident because of my husband’s stupidity! Hubby must just stick to his 1.6 Opel Corsa for a very long time! For more details and to enter the event, click here. Make sure you enter online by the 22 April – that’s tomorrow! Yikes! Hurry up! Alright, maybe for some reason beyond your control, you may have missed the UCI Mountain Bike World Cup, presented by Shimano, in Pietermaritzburg. Firstly, shame on you – you should’ve been there no matter what. Secondly, never fear because Supersport is here! Supersport will be airing two 30-minute specials on the event at the end of April and beginning of May. The first episode will be broadcast on 27 April at 21h00 on SS6. And the second episode will be shown on 5 May at 20h00 on SS5. For further info on repeats, click here. I’m pretty happy that Supersport is finally getting involved in the whole MTB scene. It’s refreshing to see a sport besides soccer, rugby or tennis getting some decent coverage. Even there website is jam-packed with info about the whole cycling scene. Two sweaty thumbs up to the channel of champions! Pointless trivia: did you know that over 16 000 tickets were sold at the MTB World Cup? The Astana team, which sponsors top road cyclists like Lance Armstrong and Alberto Contador, has recently suffered a major financial crisis (the same one that we are all experiencing and loath) where they’ve not been able to pay their cyclists a salary for the last month. There were even whispers in the cycling world that the team might disband due to a shortage of funds. 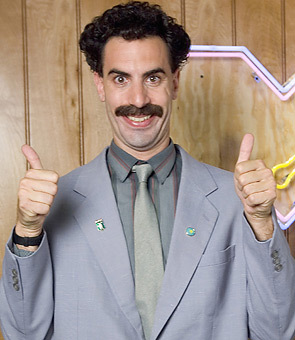 However, just yesterday the Kazakhstan cycling federation (I laughed too, don’t worry) confirmed that they would be able to pay salaries once more, after they finally received money owing to them by their sponsors. Still, this just proves how lucky SA is to be getting such an injection of interest and capital from outside sponsors. I mean, if Lance Armstrong isn’t getting paid, then jeepers, we’re really lucky to be seeing any money! I pity you road cyclists. MTB Shorts is number one in all Kazakhstan! Very nice! I like!